Tecno has begun its 2019 with an addition to its Spark Series, the company launched Tecno Spark 3 and Spark 3 Pro and both device running on the latest Android 9.0 OS and coming with little difference in terms of its specifications. This new device has become the first Tecno device to run on the Android Pie OS. It's very exciting that the device has an amazing design and comes at an affordable price. This new midrange device from Tecno with amazing and beautiful design, the device follows the trend and come with a notch design and sleek body that makes it comfortable for handheld. This could be your next device is you crave for perfect design but don't have much money to spend. 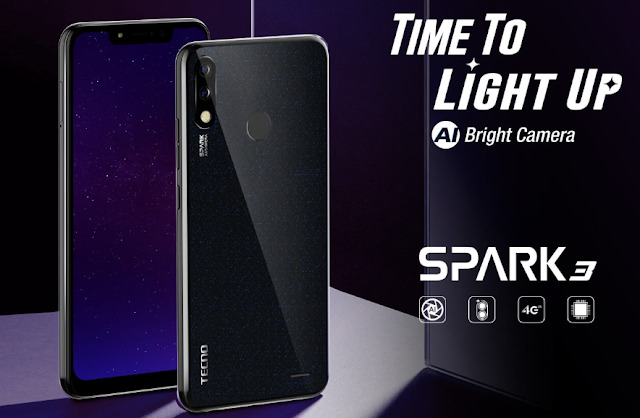 Let's find out more about the latest Tecno Spark 3. With this new Tecno Spark 3, you can feel good carrying the sleek and stylish device anywhere you go. The device boasts a massive 6.2-inch with the notched display. The notch on this device is a bathtub one taking almost all the top screen real estate. It also has quite a noticeable amount of chin down at the bottom. The body of the device is made with plastic and looks shiny in its wide array of colours options that includes Black, Red, Gold, and Purple. The full-view display provides a great viewing experience that is perfect for gaming and video streaming. Again, we are seeing a new design here, the MicroSD card slot is found at the top of the device, at the back is the dual 13MP camera aligned vertically at the top of the device, under the camera is a LED light. At the center is the fingerprint scanner. 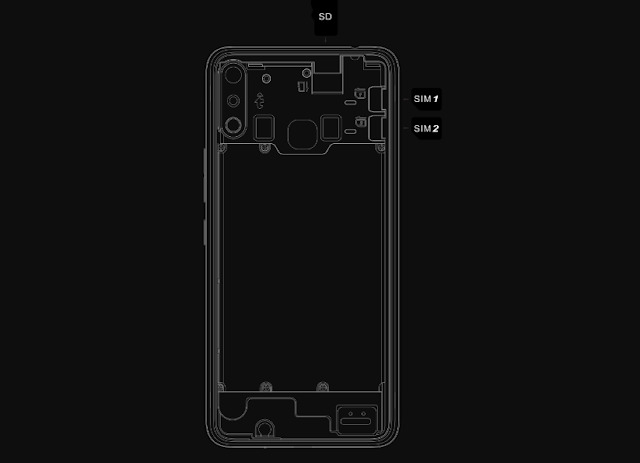 At the side is a power on and off button and volume up and down, the dual SIM slot is found at the side of the device. The design is sleek and fit perfectly in hand. Performance is very important, this is a midrange smartphone so we might not expect the device to be super fast but the performance of this Spark 3 is really good. Here the performance is enhanced with a 2GB of Ram and a 2.0 GHz Quad-Core to ensure that the device will not slow or nag even under heavy usage. 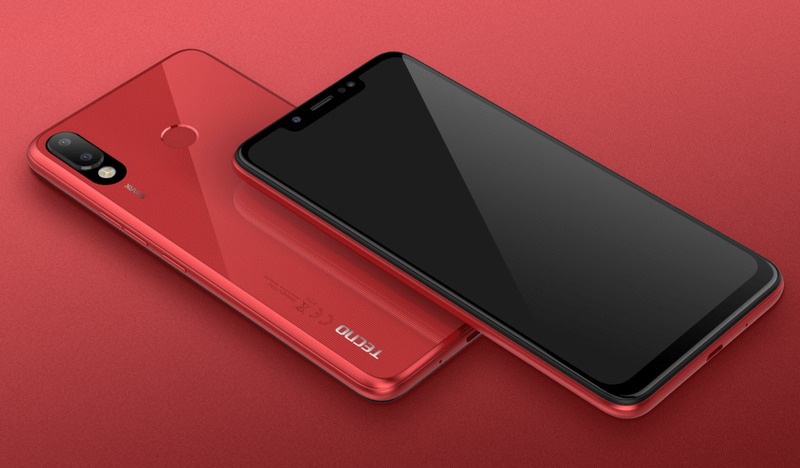 As for the storage, the device comes with an Internal Storage capacity of 16GB ROM, it also supports up to 32GB MicroSD card expansion slot that is located at the top of the device that allows you to not run out of storage space so you can store more. As for the camera, it featured with the newly upgraded camera and the intelligent image processing, the photos taken by SPARK 3 are very bright and clear. It has a built-in filter that can beautify the expression even in low light. With the 13MP dual rear bright cameras and 8MP front-facing selfie camera, you can capture the perfect moments whenever you like. The dual rear camera provides excellent depth of field effects with the AI beauty mode. A long-lasting battery is one of the major deciding factors when buying a new smartphone and Tecno has packed the device with a normal sized 3500mAh non-removable battery capacity that promises a full day usage. But, the device does not support fast charging. However, other features include the face lock and fingerprint scanner for security and accepts dual SIM card. Connectivity options on the device include Wi-Fi, GPS, USB, and 3G, while the sensors on the phone include G-Sensor Ambient Light Sensor Proximity Sensor. Finally, considering that the device is targeted at budget-oriented customers (does that need trending smartphones but does not have much money to spend), I would greatly recommend it to anyone needs a cheap smartphone. Expect from the missing 4G LTE, the 3500mAh battery is good enough and can last a whole day when fully charged.